Millennia ago, the Old Gods waged a war against the titan-forged and lost — and Azeroth would never be the same. The first to fall was Y’shaarj, whose death resulted in a horrific wound in the world. Upon seeing this, the Titans chose to imprison the remaining Old Gods, not wishing to further harm Azeroth’s world-soul. Each Old God was dealt with in turn, and summarily forgotten — Azeroth then left to evolve and grow. In the southwest corner of Kalimdor, one of these prisons remained undiscovered, its terrifying prisoner slumbering beneath the desert sands. Please note: Today’s edition of Know Your Lore contains spoilers for the end of the Legion expansion. If you’re avoiding spoilers, now would be the time to turn away! Long, long ago, the mighty Troll empires managed to shatter the Azj’Aqir Empire. By wiping the aqir from central Kalimdor, they created a divide among the insectoid race. Those aqir that remained in the north eventually evolved into the Nerubian race. One group fled to the southeast, eventually becoming the Mantid. And to the southwest, a group evolved into a terrifying race known as the Qiraji — helped along by malevolent influence. For Silithus was more than just a simple desert. In the early days of Azeroth’s history, the land was home to a Titan research facility. That facility also served as a prison for the Old God C’thun. Those aqir that traveled southwest ransacked the research facility and discovered the Old God’s presence. Eventually, they converted the Titan facility into a massive hive, turning it from prison to seat of power. The Qiraji, once servants of the Old Gods, now served C’thun exclusively. For thousands of years they remained hidden away and obscured. Little was known of their existence, and few traveled to Ahn’Qiraj. Why would they, when it was surrounded by the inhospitable deserts of Silithus? Meanwhile, Azeroth continued to mature and change, and Kalimdor eventually splintered due to the Sundering. All the while the Qiraji quietly grew in strength, increasing their numbers and slowly building up an army capable of exacting vengeance not just on the Trolls, but on the whole of Kalimdor. Approximately 975 years before the First War, Archdruid Fandral Staghelm set to try regrowing the Silithus desert. To accomplish this, he first sent his son Valstann and a group of Druids to survey the area and begin the project. Unfortunately in their exploration, they managed to stumble upon Ahn’Qiraj — and wake the dormant Qiraji. So too did they earn the attention of the slumbering Old God. This began the War of the Shifting Sands — a war in which the kaldorei desperately tried to fight back the massive army of Qiraji from taking over Kalimdor. Fandral rallied a sizeable army of his own and headed to Silithus to help his son. They were largely successful at pushing back the Qiraji, but in one fateful moment, everything changed. Valstann was captured and slain right before his father’s horrified eyes. Demoralized, the kaldorei were once again pushed back out of Silithus. Desperate, Fandral asked the Bronze Dragonflight for aid. Initially the dragons refused, but they changed their minds once the Qiraji pushed into Tanaris and assaulted the Caverns of Time. This earned the immediate attention of not only the Bronze Dragonflight, but the Red, Green, and Blue flights as well. Together, they came up with a plan to push the Qiraji back into Ahn’Qiraj and seal them away. Working with the kaldorei Druids, the dragons crafted the Scarab Wall, sealing the Qiraji behind stone and colossal roots. Once this task was complete, the Bronze dragon Anachronos crafted the Scarab Gong and the Scepter of the Shifting Sands. He gave the Scepter to Fandral, so that the Scarab Wall could be opened again if it was ever necessary. Still grieving over the loss of his son, Fandral shattered the Scepter, and its pieces were scattered — lost to the world for the next thousand years. 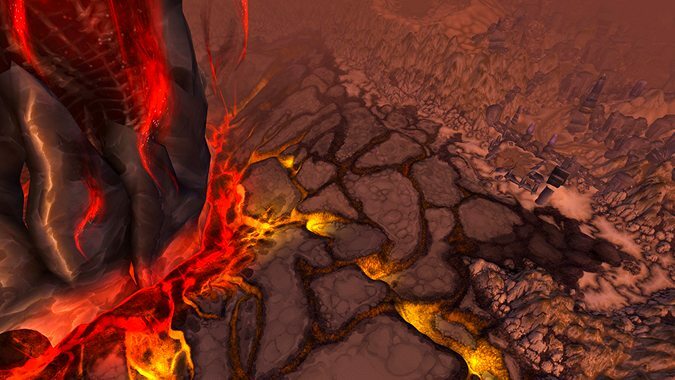 Silithus returned to what it had been all along — a desert wasteland, devoid of life save for elementals, and a few mysterious figures. The Alliance and Horde both had outposts set up on the desert’s border, but few ventured very far inside. The story of the War of the Shifting Sands faded from the memory of most. Fandral Staghelm was an exception — he’d never forget the gruesome death of his son. The First, Second, and Third Wars happened in succession, followed by a period of tension between Horde and Alliance. But Silithus and its mysteries remained just that — mysteries. But as time passed, the Old God C’thun once again stirred from his slumber. So too did the Qiraji, and neither was happy with the defeat they’d suffered. Eventually, Qiraji began to find their way beyond the wall and into Azeroth proper. 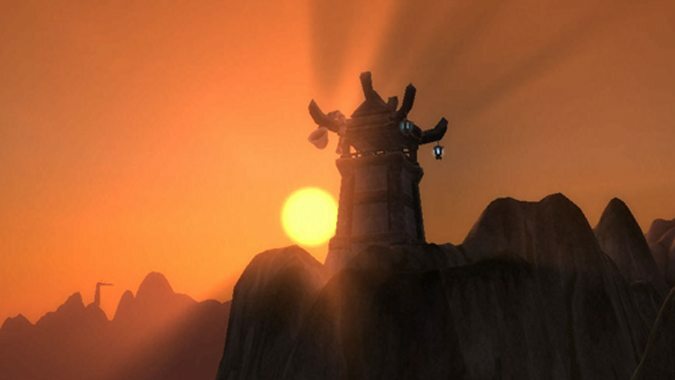 Concerned, the Cenarion Circle established an outpost in Silithus — Cenarion Hold — from which they could keep a closer eye on the activity of both Silithid and the odd presence of the Twilight’s Hammer as well. But the Qiraji influence continued to spread across Kalimdor. Noting this, Anachronos informed Azeroth’s heroes that the Scarab Wall needed to be re-opened. To make that happen, the shards of the Scepter needed to be found and reconstructed. 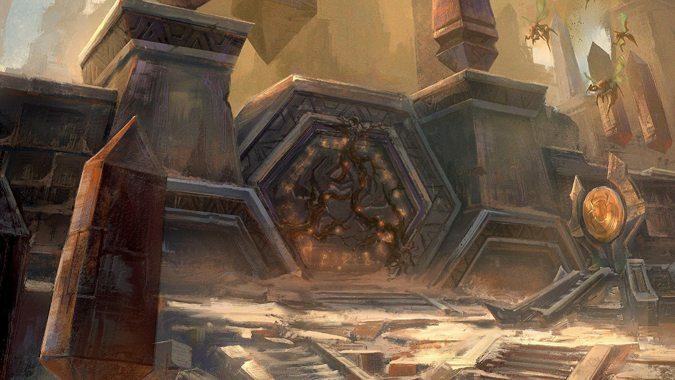 It was a daunting task, but eventually the Scarab Gong was struck, the Gates of Ahn’Qiraj were shattered, and the Qiraji plunged forth in earnest. Together, the armies of Alliance and Horde — working together as one united force, the Might of Kalimdor — managed to crush the Qiraji onslaught. Defeated, the Qiraji retreated back into Ahn’Qiraj. Capable heroes plunged into the depths of C’thun’s lair, eventually facing down the Old God himself. The war effort was a success, and the Old God defeated…or so it seemed. In the years that followed, rumors continued to filter from Silithus. Supposedly, Cho’gall and the Twilight’s Hammer settled in the area, seeking to resurrect C’thun. Whatever attempts may have been made at this process failed, however. Cho’gall was later slain in the Bastion of Twilight on the Eastern Kingdoms, far from the Silithus deserts. Cenarion Hold continued to thrive in as much as it could, surrounded as it was by barren wasteland. One has to wonder if the residents of Cenarion Hold were aware of what fate had in store for them — if any of them managed to flee or get away. In Legion, the deserts meet a final and decisive death from none other than Sargeras, who plunges his blade into the heart of the world in one last, defiant action against the Pantheon. 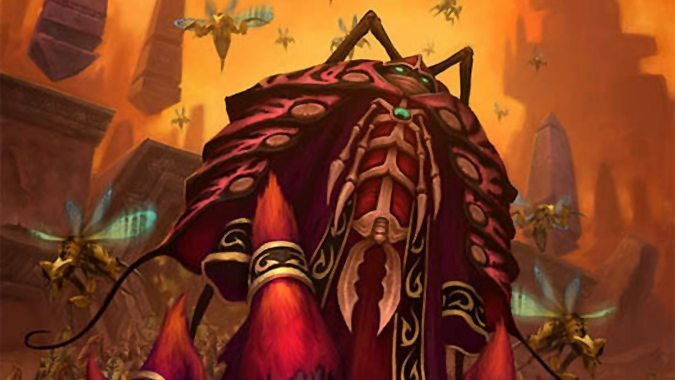 While Sargeras presumably surrenders to defeat, Silithus has been torn beyond recognition. Cenarion Hold is no more — there’s nothing but an open wound and the sword of the fallen Titan where the sands of Silithus used to be. The brave defenders that watched over the world — Commander Mar’alith, Windcaller Proudhorn, Baristolth of the Shifting Sands, and many more — are gone now. And the lands that once held mystery now hold nothing but sorrow, for the world itself is wounded and potentially dying. In Battle for Azeroth, it’s up to us to save it. Still, it’s hard not to ponder the fate of the desert’s resident Old God — is C’thun really dead? Or did he fall back into slumber? What effect did Sargeras’ blade have on the dormant Qiraji kingdom? 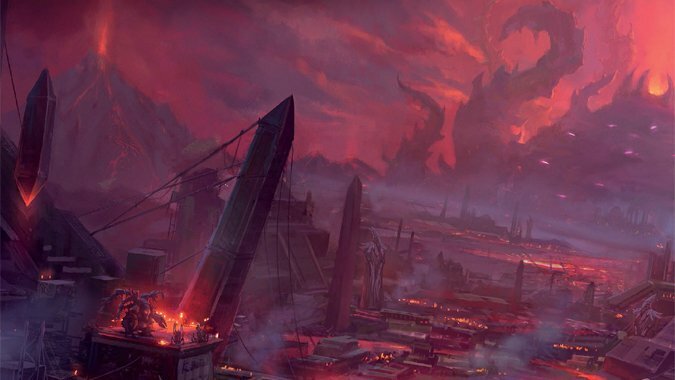 Have we seen the last of Silithus — or has its horrors taken on a new form instead? We’ll have to wait and see what Battle for Azeroth holds to find out.